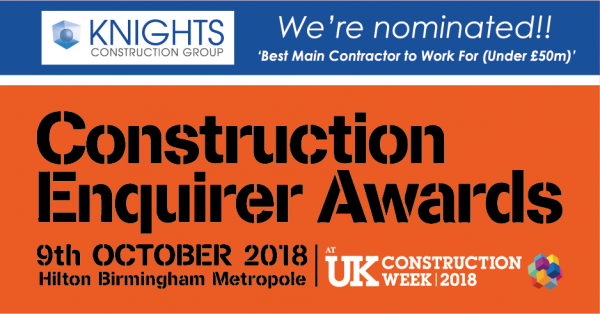 Knights Construction Group have been nominated in the category of ‘Best Main Contractor To Work For (under £50m)‘ at the Construction Enquirer Awards 2018. Nominees for each of the thirteen categories were announced on Monday 2nd July with Knights featuring among seventeen candidates selected for this particular category. There is now a public online vote to determine the ‘Top Ten Winners’ as well as, of course the overall category winners.  The Construction Enquirer is an online-based construction news outlet specifically aimed at providing up-to-the-minute updates to UK-based construction firms and professionals. The awards are set up to recognise the best construction companies to work for and projects to work on throughout the past year. On the nomination, Knights Construction’s HR Manager, Haydn Craig was delighted. “Being announced as a finalist for ‘Best Main Contractor to Work For (under £50m)’ makes me extremely proud of the company and everything we have achieved so far”, said Haydn. “At Knights, we ensure the workforce know how important they are in the continuing success of the company and we make sure everyone is treated equally and with respect. It is the continued development and commitment of the workforce that allows us to carry on growing whilst sustaining strong relationships and remaining a team throughout”. Public voting for the awards closes on Wednesday 8th August with the Top Ten Winners announced on Monday 13th August. The Winners will be announced at a presentation event hosted by celebrity architect, George Clarke on Tuesday 9th October at Hilton Birmingham Metropole. For Knights to stand the best chance of winning this award, we could really use your help. We would very much appreciate if you would take a moment to place a vote for us at the following link.